The Affiliate Grand Slam to be held this April in Tallinn, Estonia! For two nights in April, Tallinn, Estonia will bear witness to a gathering of up to 200 affiliates and five operators for the Affiliate Grand Slam. The event is the brainchild of the organizers behind SiGMA and is hosted by EGO, Betting Gods, OlyBet, Quasar Limited, and Videoslots. More than just your typical industry gathering, the event serves as a vehicle for the operators to launch new and exciting products as well as a means to strengthen and create new networks with affiliates. What’s in it for affiliates? - The event will see the launch of EGO’s new brand, PlayOJO. - Betting Gods is set to introduce an innovative subscription based sports book deal especially for affiliates. - The AGS will also see the launching of an omnichannel solutiont by Estonia-based online casino brand Olybet that will allow Nordic players to play both online as well as in their land-based Olympic Casinos. - Affiliates who join will also get to witness the launch of Quasar Limited’s new brand: OVO. - Last but not the least, the even will see the participation of one of the fastest-growing online casino brands in the industry: Videoslots. Why Hold the Affiliate Grand Slam in Tallinn? Though there are a number of reasons for holding the event in Tallinn, the most compelling of these would be travel time. With a sizable number of affiliates coming from nearby countries, holding the event in Tallinn would mean less taxing travel time as well as the inclusion of more affiliates. Additionally, with the event being held just 6 minutes away from an airport and flights not taking more than 2 hours, there would be fewer reasons for affiliates to miss out on AGS. Affiliates taking shorter flights means that the flight costs would be cheaper too. Aside from the shorter and more affordable flights, Tallinn also boasts of equally affordable five-star accommodations. By having AGS in Tallinn, the organizers and affiliates get to save on time as well as on money! Tallinn, Estonia is a city that should hold a lot of interest for Nordic affiliates with its numerous tech startups. With the commutes that range from 60 to 90 minutes and relatively cheaper wages, the city is certainly an ideal destination for affiliates who might be thinking of relocating their business. Affiliates who may be interested will do well to check out the presentation KPMG Tallinn prepared for the event. What to Expect from Affiliate Grand Slam? In the course of the event, affiliates will get to join power panels and short presentations to go along with workshops, Q&A Sessions, speed dating, and fishbowls that are guaranteed to pique their interests. Not only is the event a vehicle for the hosts’ new products and services, it’s also a means for affiliates to enrich themselves with experiences and knowledge they can glean from the various conferences mentioned above. In addition to the enriching conferences, the organizers have also gone all-out with an entertainment program that they say are guaranteed to leave affiliates mindblown and wanting for more. The whole event is of course a pre-cursor to an even bigger event that’s going to be held in Malta in November of this year: SiGMA. Affiliate Grand Slam is a means to get closer to Nordic affiliates and to let them get a taste of what they can expect if and when they go to SiGMA later on in the year. 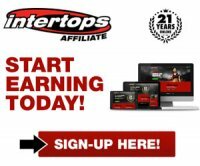 Affiliates who are interested in joining AGS (or have questions about the event) can now register today by going to the official Affiliate Grand Slam site: www.affiliategrandslam.com.